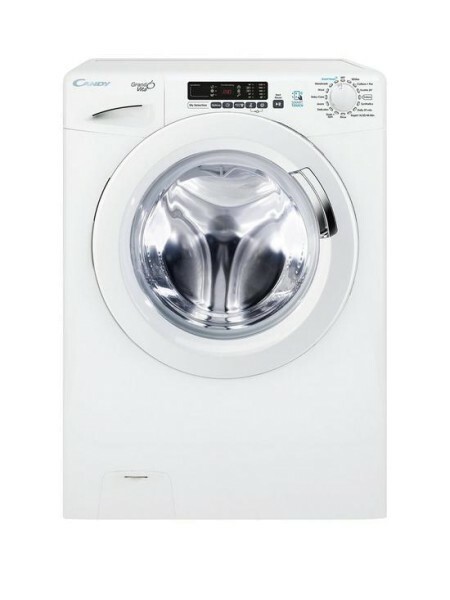 Product information "Candy GVS169D3 9kg Washing Machine"
The Candy GVS169D3 is designed to suit any kitchen setting, be simple to operate and even has an App if you'd like to adjust the programme whilst away from home! With a spin speed of 1600rpm and a capacity of 9kg, is a perfect family sized washing machine. It uses intelligent sensor technology, to weigh the laundry during the first 4 minutes of the cycle, then adjust the cycle time, water and electricity consumption to suit the size of the load. With delay start you can time your wash to suit your lifestyle so your load is ready when you walk through the door. With extra features such as Stain Level, Hygiene+, Extra Rinse and Easy Iron this machine will remove stubborn stains and look after the fabric. It comes complete with Smart Touch technology, which offers a clever solution that works as simply as a contactless payment system, by using an Android smartphone, you can control, monitor and manage the appliance via your mobile device through the Candy Simply-Fi app. Related links to "Candy GVS169D3 9kg Washing Machine"
Customer evaluation for "Candy GVS169D3 9kg Washing Machine"